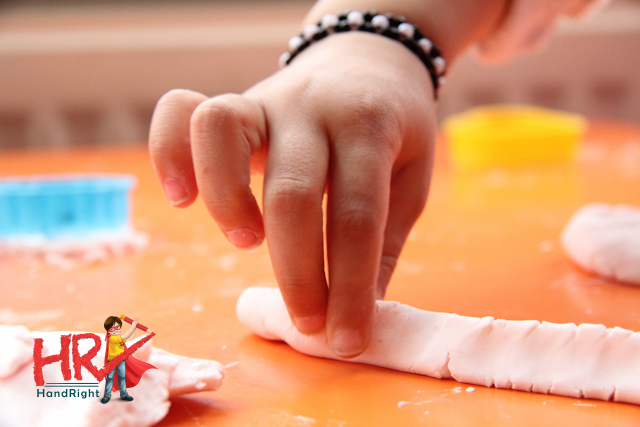 There are loads of blogs around that have been posting recipes for playdough. 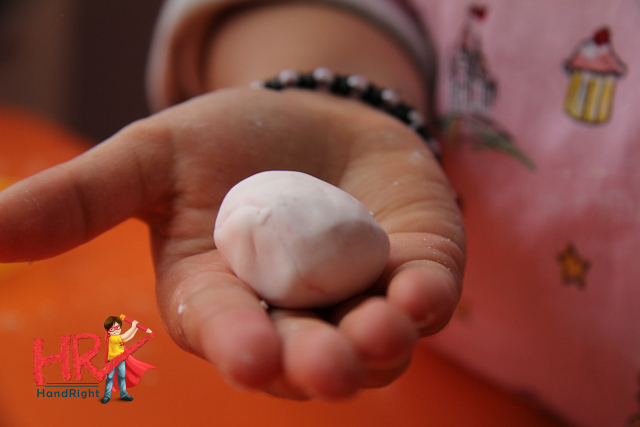 This two ingredient playdough found on the Kids Activities Blog website seemed like a good one to try. 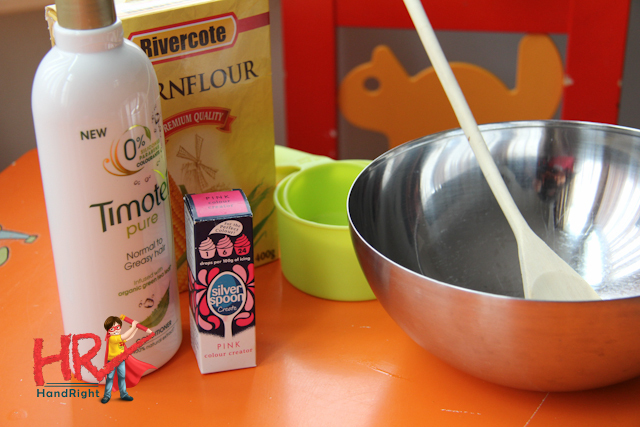 The recipe requires one part hair conditioner to two parts cornflour. Two ingredients that certainly conjures up visions and feel of soft. I added a few drops of food colouring for a light pink tinge. 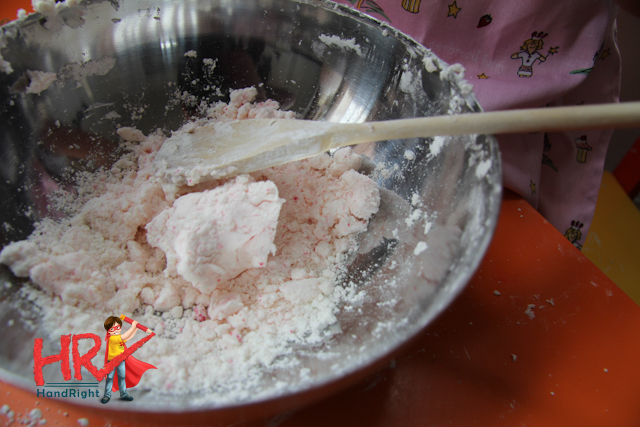 I added cornflour in a little at a time and gradually the dough began to take shape. 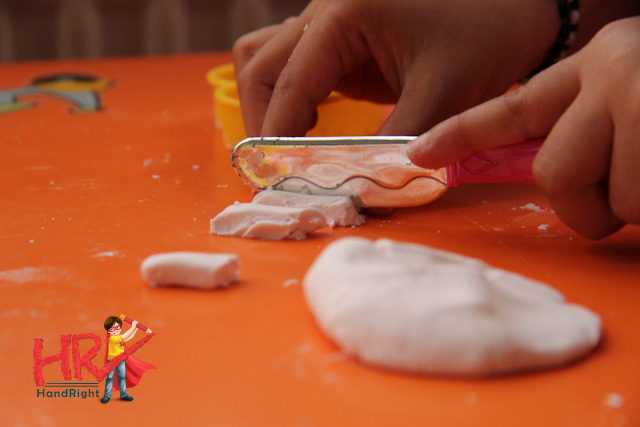 It is more crumbly then the standard playdough and you may need to play around with the proportions depending on the conditioner you have. The texture was unbelievably soft and the conditioner I used had a great smell too so it made for an all round sensory experience. 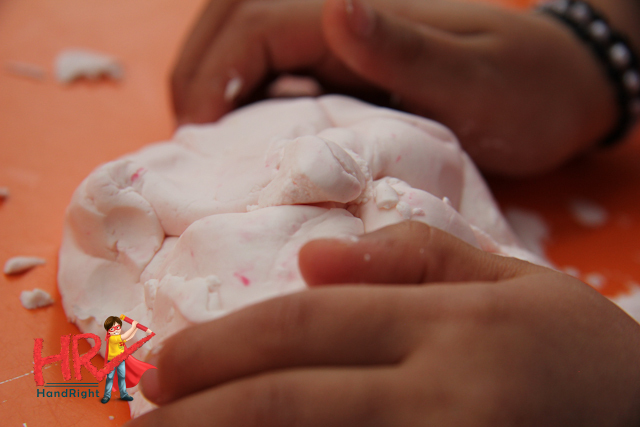 Once the play dough took shape we used it to for some Helpful Hands readiness. We rolled it into balls …. … pinching with the tripod grasp …. 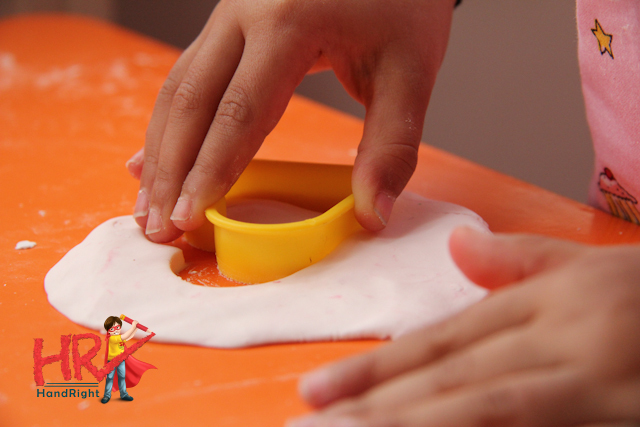 All these elements were great for preparing Little M’s fingers and muscles of the hand hold a writing tool comfortably. 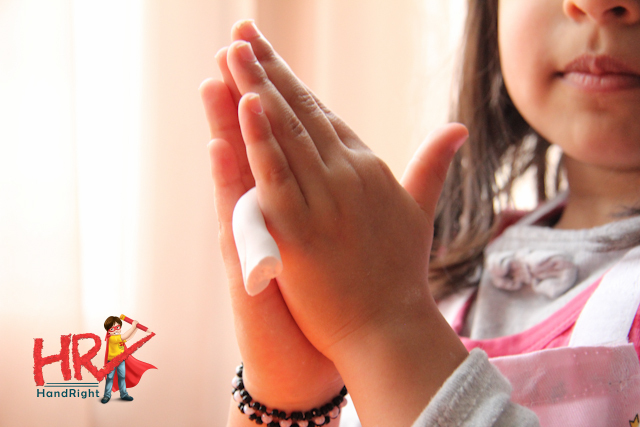 This activity helps with handwriting by improving finger dexterity which makes it easier to hold a writing tool comfortably.